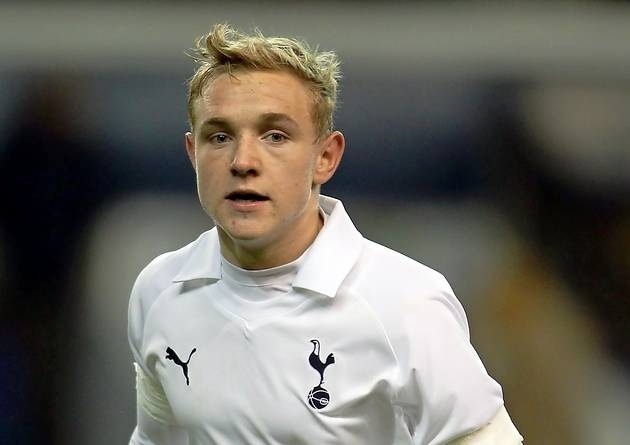 Alex Pritchard will be one that Spurs want to keep hold of. Tottenham Hotspur are facing a battle to keep hold of some of their most promising youngsters following impressive performances in this season’s NextGen Series. Alex Pritchard and Shaquille Coulthirst are bordering on the first-team at White Hart Lane but have attracted the attention of many European outfits, including Jose Mourinho’s Real Madrid. 18-year-old Coulthirst netted a hat-trick in Spurs 4-1 win over Catalan giants FC Barcelona in their NextGen Series group encounter. Pritchard scored the other goal in that fixture whilst also grabbing three over two games against Wolfsburg. Spurs currently sit second in their group behind Barcelona but face bottom-of-the-group Anderlecht on 13th December in a bid to qualify as group winners.